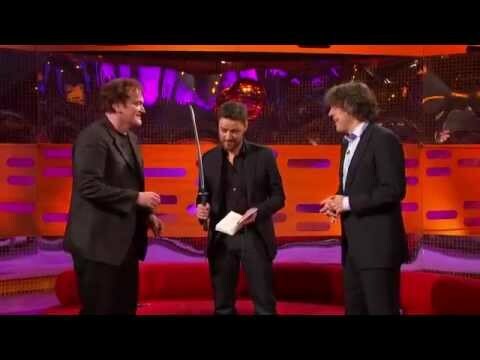 Quentin Tarantino shows his masterful touch on The Graham Norton Show directs James McAvoy and Alan Davies in a scene from MacBeth. It’s big, bold and clever, and not an easy one to do on the fly. And without guns.